We understand lab technicians have a wide variety of roles. And just because you work in a lab doesn’t mean you don’t want to look smart and be comfortable. Whether you work in a hospital, school, dedicated laboratory or in the pharmaceutical industry you still want to protect your own clothes and dress professionally for work. That’s where our Lab Technician uniforms come in. We’ve developed a range of lab technician workwear specifically for your work environment where hygiene is essential. 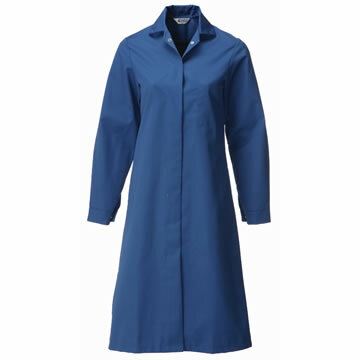 Unlike many other healthcare uniform makers we have designed a Ladies Coat for female lab technicians. Its design is more flattering to the female form than standard coats but still retains a straight fit. It’s available in Royal Blue and Super White. We know your lab coats will get dirty so it’s made from a 65% polyester/35% cotton blend which has proved itself to have superior qualities when it comes to wear and washing. As you’d expect it has a concealed front fastening and has an inside breast pocket. It’s available in sizes 84cm to 132cm and in a Regular Fit. A universal lab technician’s uniform: our Unisex Lab Coat. Ours is in lancer style with white knitted cuffs and a stand collar. It also incorporates offset front fastening, an internal pocket and rear vent. It’s available in Super White in sizes 92-140cm and in a Regular Fit. For many larger organisations it’s the lab technician uniform of choice. 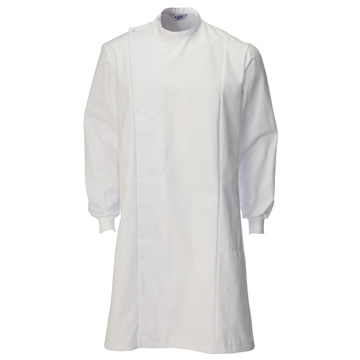 The Unisex Lab Coat is made from our superior 65% polyester/ 35% cotton blend making it able to withstand repeated use. 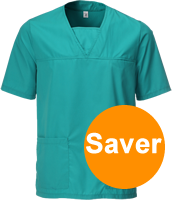 If you wear Medical Scrubs Suits we have a range of Unisex Scrubs Tops and Unisex Scrub Trousers. Our Unisex Scubs Tops are popular Lab Technician uniforms. They come in 5 colours: Sailor Navy, Burgundy, Royal, Jade and Light Blue. For your convenience they can be purchased separately from trousers. Sizes range from XSmall to XXLarge in a Regular Fit and all are made from a 67% polyester and 33% cotton blend. As you would expect from us, we’ve designed our Scrub Tops to be a practical alternative to coats; they have 3 pockets and side vents for comfort. Matching Unisex Scrub Trousers are available in the same colours in Regular and Tall fits in sizes XSmall to XXLarge. All trousers have 4 pockets.